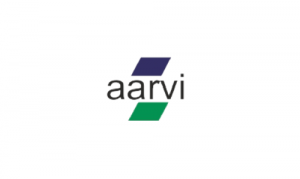 Business description from prospectus – Aarvi delivers world-class Engineering and Manpower Outsourcing Services with an intimate understanding of the Indian economy and business environment. It helps clients with its staffing solutions to provide a comprehensive range of services across all industry sectors to clients who are in need of specialist assistance. The company’s services can be tailored to meet the needs of each client and cover the full employee life cycle. Its full-service, staffing and recruiting department consistently delivers the best talent to its clients across India. The company strives to use innovative strategies in order to ensure the client is exposed to the top-tier talent. For more than three decades, India’s leading companies have turned to Aarvi for their outsourcing needs for Engineering and Technical Manpower. It is providing services to corporates in Oil & Gas, Power, Refinery / Petrochemical, Pipeline, Infrastructure sectors in India and abroad. Aarvi Encon IPO allotment status is now available on Bigshare Services' website. Click on this link to get allotment status.